Poison ivy is a woody vine that often shows up in wooded areas. It becomes a big problem for homeowners when it takes root in the fringes of yards and gardens. 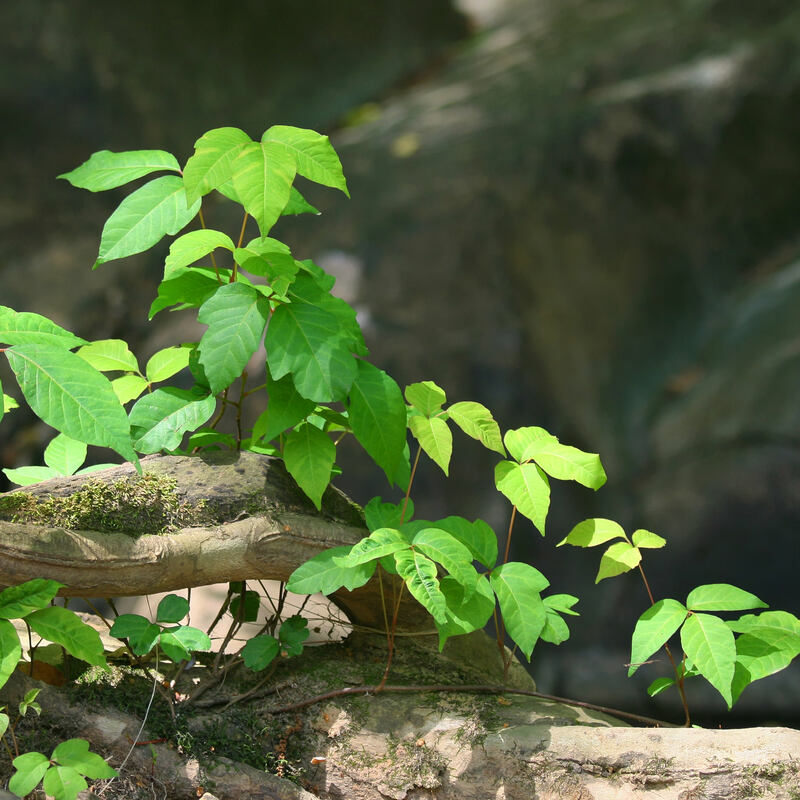 Poison ivy is a tough, unpleasant plant, but control is possible. Groups of three leaflets make poison ivy easy to recognize. The leaves may be toothed or smooth and often resemble oak leaves. The stems are smooth but the vines are covered with tiny roots that help the plant scramble up trees and buildings. Poison ivy leaves are reddish when they emerge, turning green as spring progresses and eventually morphing to shades of orange, red and yellow in autumn. In summer, poison ivy produces clusters of cream-colored or pale green berries. The plant spreads quickly via underground rhizomes. It is also spread by birds and mammals that eat the tiny fruits. Poison ivy is most common in the Midwest and eastern United States. It isn’t usually found at high altitudes or in arid desert climates. 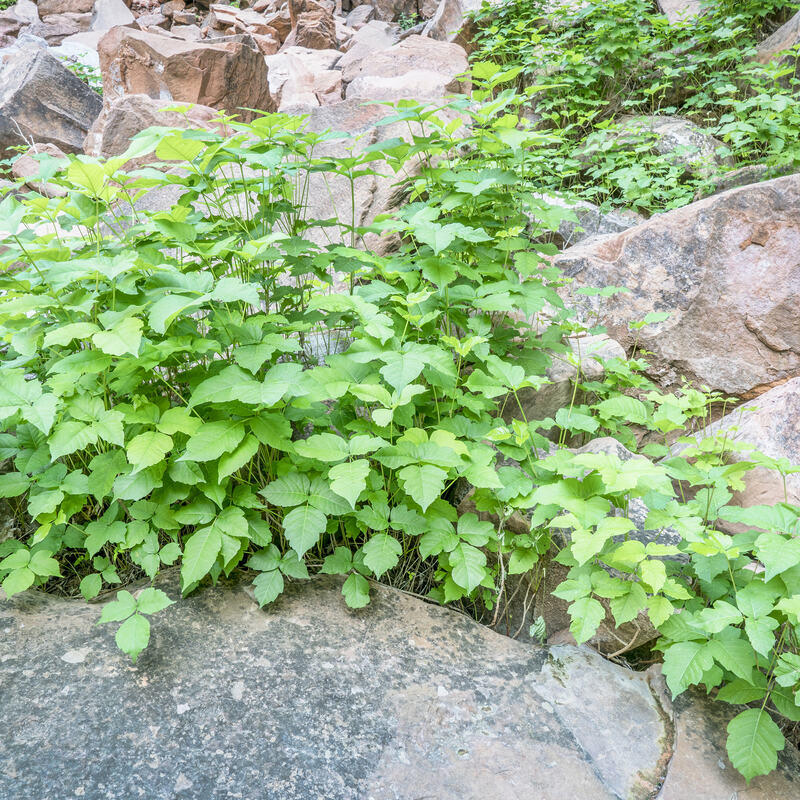 Dig up light infestations when poison ivy is small. You can also cut plants to ground level, but you’ll need to keep cutting as new plants emerge. The plant will eventually starve to death from lack of sunlight. If you choose to pull or cut the weeds, always dress appropriately. Wear thick, rubberized gloves and eye protection. 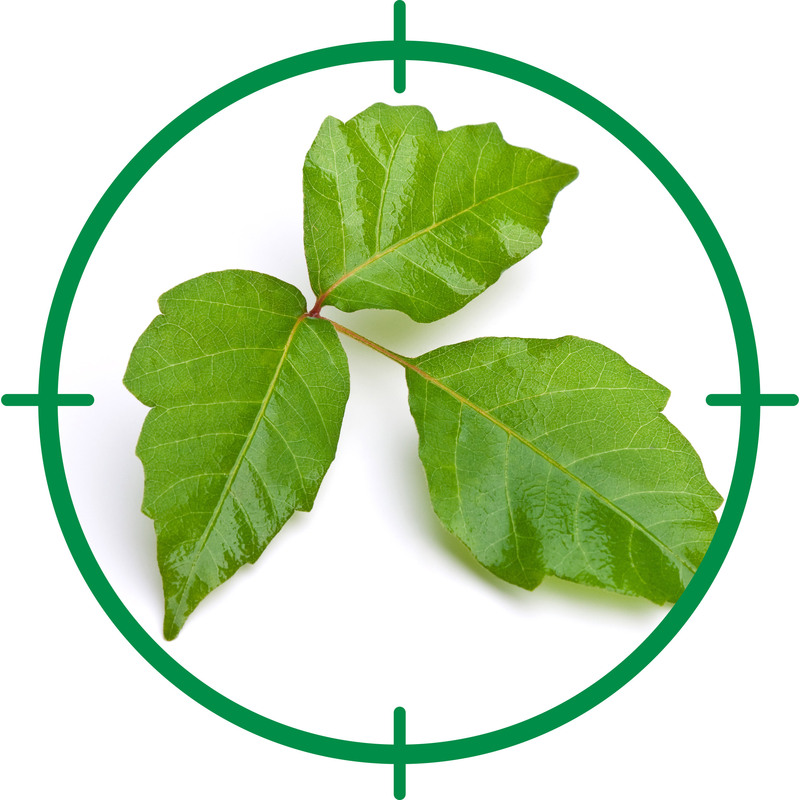 Spray poison ivy with post-emergent weed killer when the plants are actively growing in late spring or early summer. Read the label carefully; most herbicides that kill poison ivy will also kill desirable plants, including lawn grass and ornamentals. Cut thick masses of poison ivy vines to 3 to 4 feet (1 m.), then spray the remaining leaves with brush killer. Never burn poison ivy plants because even dead vines can produce urushiol, the substance that causes severe, burning rashes. Dispose of remains in a tightly sealed garbage bag. Wash your tools with hot, soapy water.